Susan Sytsma Bratt is a 2006 alumna of Princeton Theological Seminary, and was awarded the Jagow Prize in Homiletics & Speech and the Paul Reche Prize in Theology and Ministry. 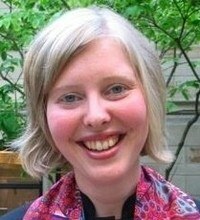 She is also a 2003 alumna of Calvin College. She currently serves as the Associate Pastor at Northridge Presbyterian Church in Dallas, Texas. She is passionate about ministries of welcome and hospitality, especially toward refugees. Prior to serving in Texas Susan served as a Lilly Resident Pastor at Bryn Mawr Presbyterian Church, and worked in campus ministry for Lake Michigan Presbytery. Susan is grateful for the gift of residential theological education while at Princeton, and the role the PTS community played in shaping her vocation to parish ministry. She hopes to help build connections and community within her region as she serves on the AAEC.